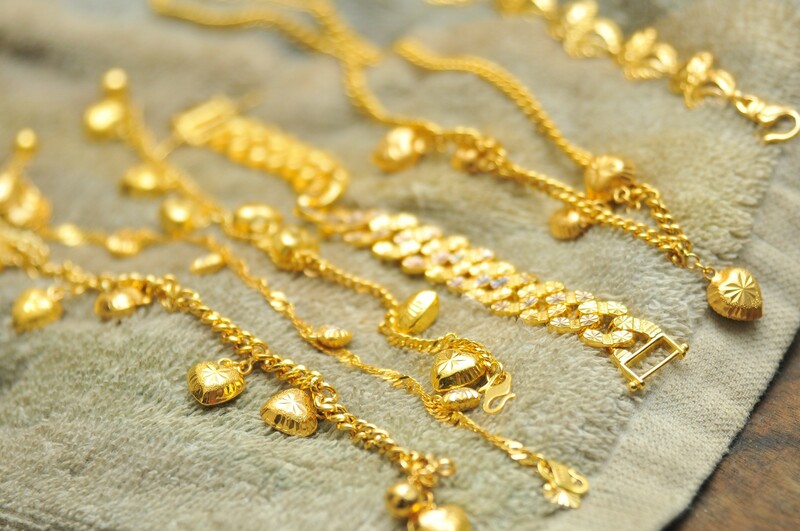 When it comes to precious metals, all that glitters is not just gold. And that metal is palladium. On December 4, 2018, palladium became worth more than gold for the first time since 2002. And the price of palladium hasn’t stopped soaring since. Since mid-August, palladium prices have surged 70%, breaking above $1,400 per ounce for the first time ever. And according to Metals Focus Ltd., demand for palladium is exceeding supply for the eighth consecutive year. Industrial demand for palladium has exploded. That’s because palladium is a critical element in the production of catalytic converters. And carmakers across the globe are scrambling to meet ever more stringent emission controls. Meanwhile, demand from China is expected to surge, boosted by a plan to increase domestic spending on automobiles this year. Yet even as demand is exploding, little new supply is on the horizon. Unlike with gold, there are no mines dedicated to palladium. That means miners can’t adjust output levels of palladium to meet short-term demand. A continuing strike at a major gold and palladium producer in South Africa adds to the supply woes. The result? Steady demand for palladium with few willing sellers. In fact, there is such little supply that some buyers are turning to physically backed exchange-traded funds (ETFs) as a potential source. Citigroup analysts predict supply deficits will persist through 2020, resulting in the tightest market in two decades. So just how high can palladium go? After the metal hit its recent record highs, J.P. Morgan raised its target price to $1,587. Investing in palladium is as easy as investing in any U.S. stock. That’s because you can buy the Aberdeen Standard Physical Palladium Shares ETF (NYSE: PALL). And as the chart below confirms, palladium trounced the performance of the S&P 500 over the last six months. So how did I come across this relatively obscure investment opportunity in palladium? I identified it using my “Money Matrix.” This is a computerized system that enables me to monitor thousands of ETFs every day. 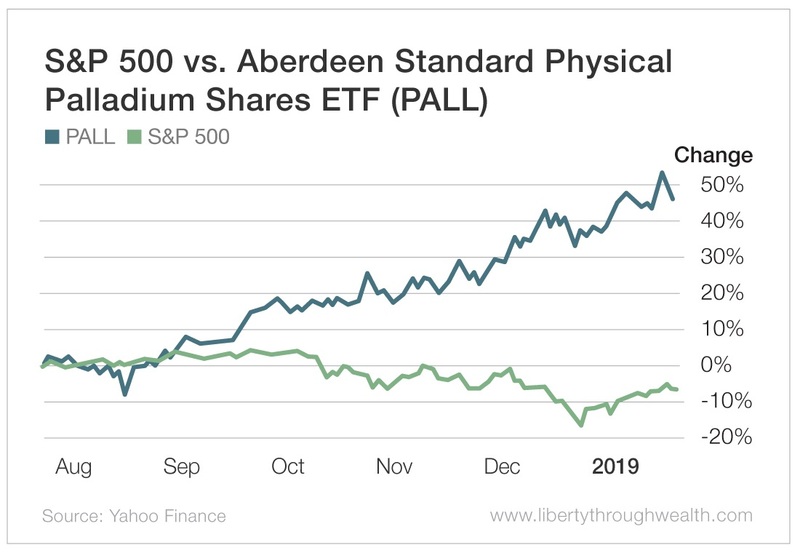 The Aberdeen Palladium Shares ETF popped up as the commodity ETF with the strongest short-, medium- and long-term momentum behind it. 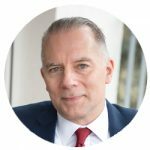 And this ETF reflects two essential aspects of the investment philosophy behind Oxford Wealth Accelerator. First, I believe you should invest far beyond just U.S. stocks and bonds. You can make your money investing in anything. Whether you make it in a low-profile commodity, like palladium, or a high-profile tech stock doesn’t matter. Second, ETFs allow you to invest in almost any asset class and strategy at the click of a mouse. Commodities and currencies are no longer off-limits. And as a subscriber to my new Oxford Wealth Accelerator trading service, you too can gain access to a portfolio of diverse investment opportunities, like those present in palladium, represented by liquid, low-cost ETFs.